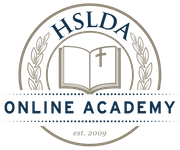 Most HSLDA Online Academy courses have two instructors—a Master Teacher and a Classroom Teacher. The Master Teacher is the visionary behind the course who personally designs and creates course content and oversees the progress of the course during the year. All are seasoned high school or college educators whose teaching is informed by a variety of academic and practical experiences in their respective fields. Each Classroom Teacher is a fully qualified instructor with a degree and specific knowledge that leads your student to success—and a heart to help your student individually improve and grow, while thriving in the online environment. To read more about the instructors for a particular course, simply scroll down the page to the course you are interested in and click on the instructor’s name.